Our brain is a chemical factory that produces Acetylcholine,Dopamine,Serotonin, Gamma Amino Butyric Acid (G.A.B.A. ),Norepinephrine,Epinephrine and other brain chemicals 24 hours a day.The only raw materials for their syntheses are nutrients, namely amino acids,vitamins,minerals,essential fatty acids..etc..If the brain receives improper or insufficient amounts of these key nutrient building blocks,we can expect serious problems with our neurotransmitters and with our mental health. Neurotransmitters are the chemical messengers of the nervous system.They are chemicals made by neurons and used by them to transmit signals to the other neurons or non-neuronal cells that they innervate.Neurotransmitters are the natural chemicals that facilitate communication between brain cells.These substances govern our emotions, memory,moods,behavior,learning abilities and sleep patterns.For the last three decades, neurotransmitters have been the focus of mental health research. For the health and maintenance of the brain cells and their chemical messengers,a balance of amino acids,vitamins and other nutrients must be present.A lowered level of these in the brain,whether because of stress,genetics,or bad eating habits can deplete the key neurotransmitters necessary to keep a healthy mental attitude.Serotonin and Norepinephrine are the key neurotransmitters that are depletted in the brain of those who are depressed.Since Serotonin and Norepinephrine belong to a chemical group called amines,the theory of depression that emerged from research became known as The Brain Amine Theory of Depression. The precursor nutrients (amino acids,enzymes,vitamins,and minerals) appear to be the safest,most effective way of �increasing� the brain amine levels.They simultaneously increase both Serotonin and Norepinephrine,while the traditional antidepressants drugs generally increase only one or the other of these brain amines and may not work if both amines are depleted (Slagle,1992). Proteins are chains of amino acids linked together, bound together with peptide bonds and there are about 28 amino acids commonly referred to in human health.The liver manufactures about 80% of these amino acids, but the remaining 20% of such amino acids must be supplied directly by diet, and these amino acids are referred to as the essential amino acids. These essential amino acids are: leucine,histidine,lysine,isoleucine,valine,methionine, phenylalanine, threonine and tryptophan.The 80% or so others that are manufactured by the liver includes: asparagine,arginine,alanine,aspartic acid, citrulline, cysteine, cystine, gamma-aminobutyric acid, glycine,glutamic acid, glutamine,serine,ornithine, proline, tyrosine and taurine. Glutamine, or L-Glutamine, is an amino acid derived from another amino acid, glutamic acid.L-Glutamine is another example of an amino acid with substantial benefits to mental functioning.L-Glutamine is the most widely used amino acid and constitutes more than 20% of all the amino acid levels in the body. While it is the most prevalent amino acid, it is considered to be ‘conditionally essential,’ meaning that stress or excessive exercise can create a need for more of it than the body can provide. Glutamine is found in plant and animal sources, as well as in supplement form.Many plant and animal substances contain Glutamine, but cooking easily destroys it. If eaten raw, spinach and parsley are good sources.Soy proteins, milk, meats and cabbage are additional sources of this amino acid. 1.Glucose,which is blood sugar made from carbohydrates. 2.Glutamine, an amino acid available in protein foods or as a supplement. Unlike other amino acids that have a single nitrogen atom, Glutamine contains two nitrogen atoms that enable it to transfer nitrogen and remove ammonia from body tissues. Glutamine readily passes the blood brain barrier and, within the brain, is converted to glutamic acid, which the brain needs to function properly. Aside from generally providing an energy source for the brain to function at a higher level, glutamic acid is thought to play a role in mental alertness and perhaps even memory enhancement. It also increases the amount of gamma-aminobutyric acid, which is needed to sustain proper brain function and mental activity.It assists in maintaining the proper acid/alkaline balance in the body, and is the basis of the building blocks for the synthesis of RNA and DNA. Glutamine promotes mental ability and maintenance of a healthy digestive tract. Glutamine is also an amino acid that stimulates the release of human growth hormone within the body.Human growth hormone serves many important functions by influencing carbohydrate,protein and lipid metabolism, regulating the secretion of other hormones, and interacting with the immune system. Preliminary scientific research show that L-Glutamine can increase the body’s production of Human Growth Hormone. Therapeutic dosages of L-Glutamine range from 1.5 to 6 g daily, divided into several separate doses. As a naturally occurring amino acid, Glutamine is thought to be a safe supplement when taken at recommended dosages.However,people who have kidney disease,Reye’s syndrome,cirrhosis of the liver,or other illnesses that cause ammonia to build up in the blood should not take Glutamine.For such individuals, taking supplemental Glutamine may only cause further damage to the body. Those who are hypersensitive to monosodium glutamate should use L-Glutamine with caution, as the body metabolizes Glutamine into glutamate.If you are taking antiseizure medications use Glutamine only under medical supervision. Maximum safe dosages for young children, pregnant or nursing women, or those with severe liver or kidney disease have not been fully determined.Be aware that although the names sound similar,Glutamine, Glutamic Acid,Glutamate,Glutathione,Gluten, and Monosodium Glutamate are all different substances. Orthomolecular medicine describes the practice of preventing and treating disease by providing the body with optimal amounts of substances which are natural to the body. According to Linus Pauling (1968), Orthomolecular Psychiatric Therapy is the treatment of mental disease by the provision of the optimum molecular environment for the mind,especially the optimum concentrations of natural substances,normally present in the human body. The scientific community agree on the tremendous influence of neurotransmitters on mental diseases.The proper functioning of the brain is known to require the presence of molecules of many different chemical substances and key nutrients.In the orthomolecular view, it is possible that the provision of specific vitamins, amino acids, trace elements or essential fatty acids,in amounts sufficient to correct biochemical abnormalities,will be effective and therapeutic in preventing or treating the most common mental disorders such as Anxiety or Depression. 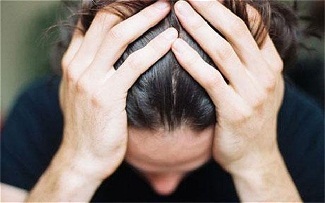 Our mental health is dependent upon having the proper amount of these critical brain chemicals.Most neurotransmitter problems appear to be genetic in nature and involve abnormal absorption,storage or metabolism of key nutrients.Hundreds of documented cases exist of people who have successfully recovered from a diagnosis of mental illness when they were, in fact, physically ill.They only improved when their physical disorder was discovered and naturally treated by holistic health professionals. As science advances, biochemical treatments to correct brain chemistry become better defined and researched.Nutrient therapy can be very effective and involve fewer and milder side effects or possible interactions than psychiatric drugs.This alternative and effective therapeutic approach may eventually reduce,or even eliminate,the need for most psychiatric medications used today worldwide.